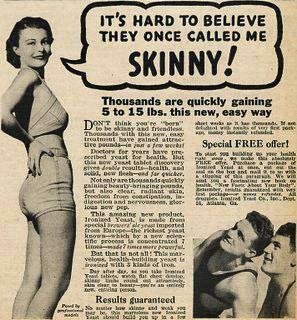 In today’s obesity-laden society, it’s hard to imagine a time when weight gain was actually desirable. Here are a few neat vintage ads that we wanted to share. Nowadays, most of us look at these and think “If only”….right? Just think – gain 5 to 15 pounds and get all the dates you want!